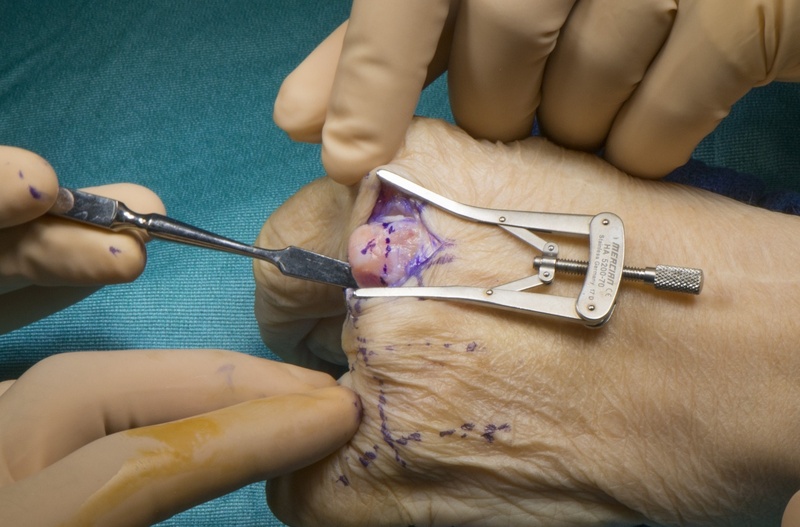 Learn the Fractional Tendon Lengthening and Swanson Silastic Metacarpophalangeal Joint Replacement (Wright Medical) for Spasticity surgical technique with step by step instructions on OrthOracle. Our e-learning platform contains high resolution images and a certified CME of the Fractional Tendon Lengthening and Swanson Silastic Metacarpophalangeal Joint Replacement (Wright Medical) for Spasticity surgical procedure. The following procedure demonstrates the application of the Swanson silastic joint arthroplasty in the treatment of a longstanding, fixed flexion, MCPJ contracture resulting from spasticity. These implants have a well established role in the surgical treatment of the rheumatoid hand but they remain a versatile implant with a wider range of useful indications. The adult spastic hand commonly results from traumatic brain injury or anoxic insult resulting in an upper motor neurone lesion. In mild cases this may result in loss of dexterity or coordination. In severe cases, spasticity within extrinsic and/or intrinsic muscle groups results in contractures of the wrist or digits. The most severe contractures present with a clasped hand, fixed skeletal deformities and joint subluxation. They are often associated with poor hygiene and an associated risk of skin breakdown. The management of this unique group of patients requires a careful evaluation of the factors driving the deformity, the potential reversibility of each, and any residual function that may be expected. An understanding of the patients specific expectations is central to a satisfactory outcome. The surgical technique demonstrated here is only one possible technique, and was very much tailored to the unique nursing and functional needs of this particular patient. There is clearly great variation between patients with spasticity affecting hand function. The implants used in this case are the Swanson small finger joints manufactured by Wright Medical.